As anger mounts at the painfully slow progress made by the independent inquiry into the Iraq War, Prime Minister David Cameron has again demanded its publication. The problem facing those wanting a timely release of the Iraq Inquiry’s findings is that its independence means only Sir John Chilcot can publish it. The Iraq Inquiry officially began taking evidence in 2009, finishing main evidence in February 2011. It has not sat for over four years, a period of time during which it has still cost the taxpayer £5.5 million. In total to date more than £10 million has been spent on Chilcot’s inquiry yet there is still no date for publication of the report which was initially aimed to be finalised by the end of 2010. Delay is attributed to the so-called ‘Maxwellisation’ process which requires draft criticisms be put to the people concerned to allow them to comment before publication. 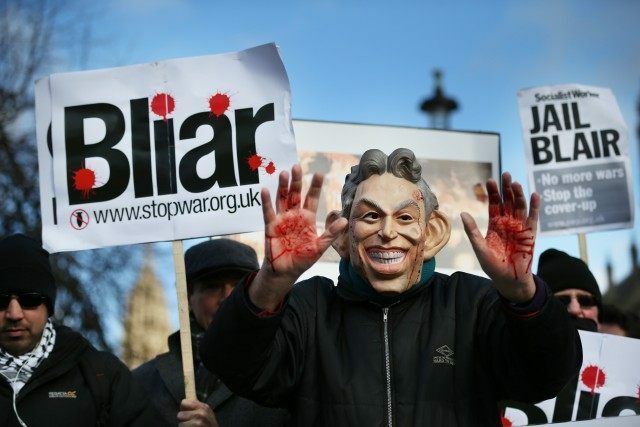 30 former or current ministers, officials and military officers are among those engaged in ‘Maxwellisation’ linked to the investigation into former Prime Minister Tony Blair’s decision to send British forces into Iraq in 2003. “You meet mothers and fathers of those who died in Iraq who want to know the answers, and want to know before they reach the end of their lives. Families of soldiers killed in Iraq this week threatened legal action against Chilcot. They claim he acted unlawfully by refusing to set a deadline for publication. The Prime Minister has admitted to being frustrated that he cannot order publication, however the parameters of the Iraq Inquiry set in 2009 by then Prime Minister Gordon Brown ensured its independence. As such Cameron has no power to order Chilcot to do anything before he is ready. “Let’s forget the Chilcot Inquiry into the Iraq War. We all know who’s guilty, and the main actors are finished and disgraced in the public mind.